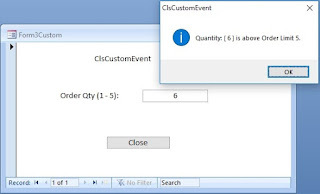 Last week we have learned how to change the Directory Path control of VBA to the CurrentProject.Path (active database’s location) with the use of ChDrive() and ChDir() Commands, without altering the Default Database Folder settings under Access Options. Application.SetOption "Default Database Directory", "C:\Developers\Project"
You can execute the above commands directly in the Debug Window. After executing any of the above commands you may open Access Options from Office Buttons and check the Default Database Folder control value under the Popular options group. We have already discussed earlier about Updating/Appending data into external Database Tables (external Tables of Access, dBase etc. not linked to the active Access Database) by using the IN Clause in Queries. You will find that Article here to refresh your memory. If you have Queries in your Databases that references Tables in external databases to Update or Append data into them, like the sample SQL given below, it is time to take a relook at them to avoid unexpected side effects. If external or backend database is on a common location on Local Area Network (LAN) Server, serviced by several front-end databases from client machines that itself is asking for separate treatment of the whole issue which we will look at them later, probably next Week. I don't want to mix them up here and confuse you. This method permanently changes the Default Database Folder control value in the Access Options area and remains intact till it is changed again. This is a global change to Access Options and may affect other databases when they are open. This method is harmless because the change is temporary and the Default Database Folder global setting remains intact. You can use the above Code in databases that requires this Function. One of these methods must be run immediately on opening the database, either through an Autoexec Macro with the RunCode Action or through the Form_Load() Event Procedure of the first Form opened.